What Health Zones Receive FP Support? 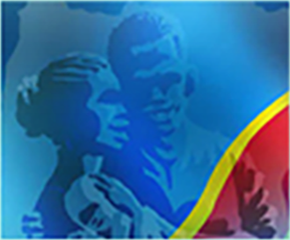 Where are the FP Services IN Kinshasa? Where are the FP Services In Other Surveyed Provinces? How Does the Government Support Family Planning? Political support at all levels of government is essential to increase utilization of family planning. The DRC continues to lead action to improve access to and utilization of family planning services. 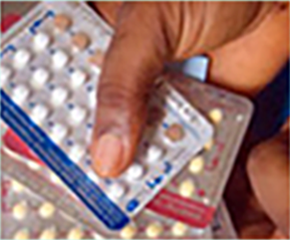 How does the DRC procure contraceptives? A functional logistics system is necessary to ensure that family planning programs are able to obtain key data. Read more to learn about contraceptive flow within the health system. It is important to improve physical access to quality family planning services. 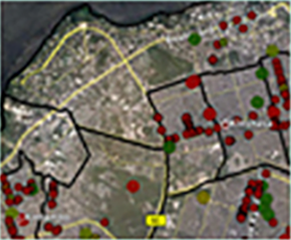 Check out these innovative maps of family planning service delivery points throughout the city of Kinshasa. 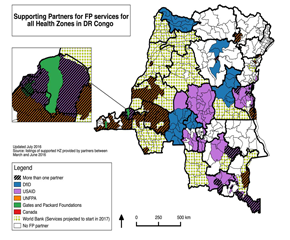 Which health zones in DRC receive support from international partners for FP services? Out of the 518 health zones in DRC, 359 receive support from one or several partners for FP services. Check out where donors are investing and which parts of the country remain underserved. 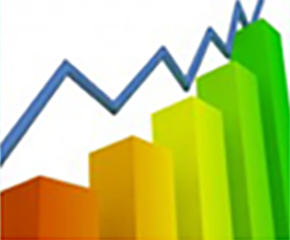 Program and survey data allow trends to be monitored and demonstrate progress achieved towards increased use of FP. How can we increase demand for FP? 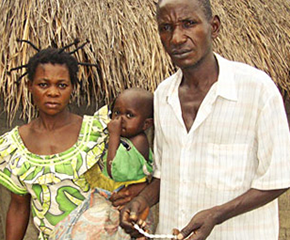 Organizations in the DRC use numerous strategies to generate interest in and motivate the use of family planning, from individual counseling to mass media campaigns. Learn more about what these organizations are doing. Developed by Tulane University School of Public Health, New Orleans, LA, under a grant from the Bill and Melinda Gates Foundation, in collaboration with the Programme National la Santé de la Reproduction (PNSR), Kinshasa.